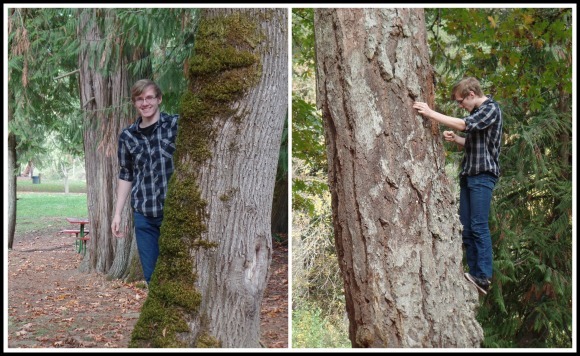 Every fall I love getting outdoors and exploring all the beautiful fall scenery. 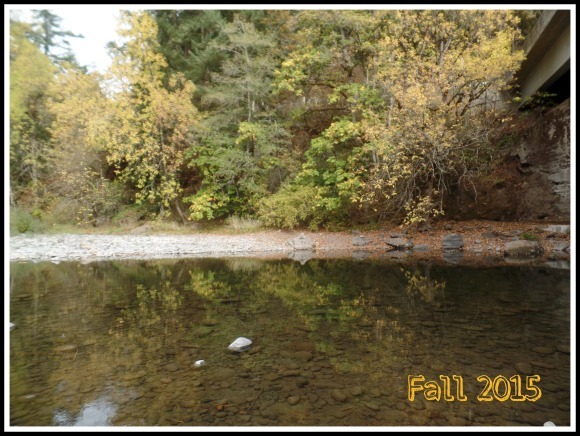 I especially love going down by the river and seeing all of the trees changing color and dropping their leaves. The colors reflect in the river so beautifully. 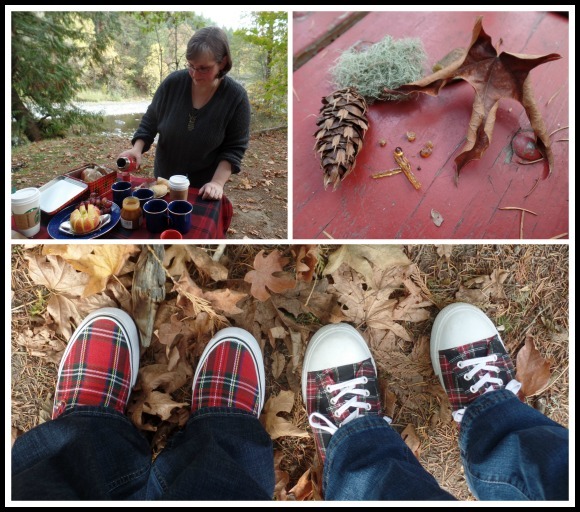 When we had a dry fall day we decided to pack a simple picnic and head down to the river to explore. 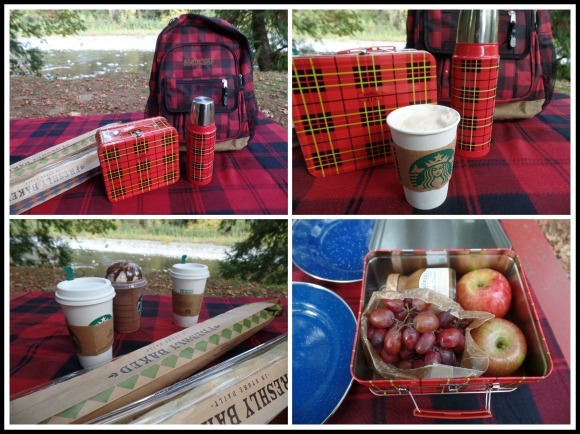 I love red plaid, and my classic red plaid thermos and lunch box, so I packed a simple classic picnic in all of our red plaid gear, along with a red plaid blanket. On the way we picked up a regular baguette, and a sour dough baguette, and we were all in the mood for coffees. Along with our bread and coffee, I brought a wedge of Gouda, some slices of Havarti, Genoa Salami, and roast beef. I love simple meats and cheese with fresh baguette. For dessert I brought grapes and two delicious Honey Crisp Apples to dip in Smucker's Salted Caramel. 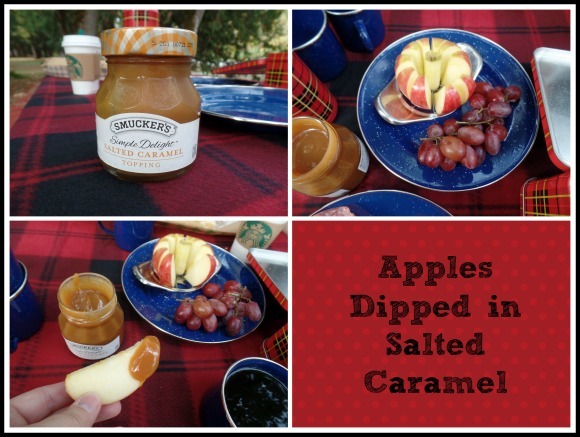 The Smucker's Caramel was wonderful and definitely a new favorite. 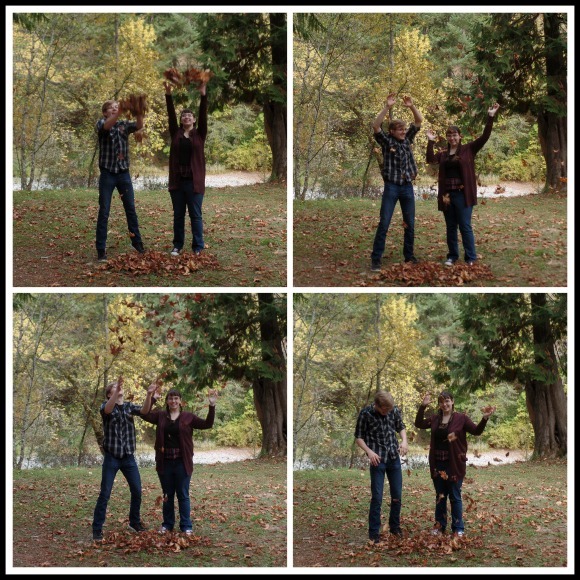 Sarah and Joe were good sports as I tried to get some fun pictures of them throwing leaves. 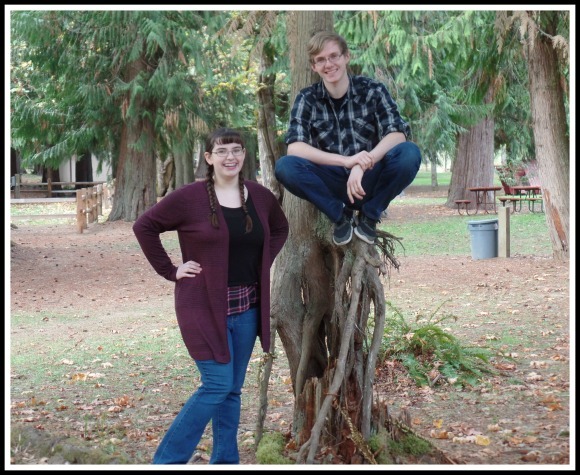 I think the pictures turned out cute. 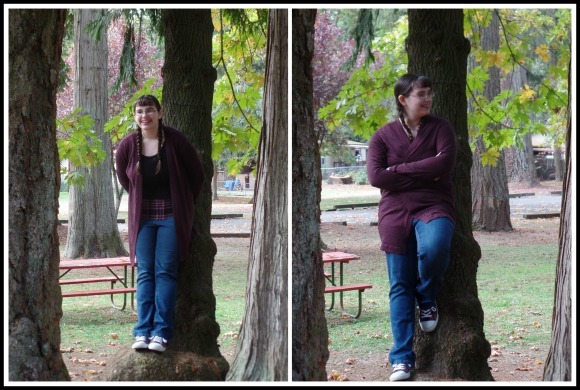 I was finally able to break out a fall sweater, up until then it had been too warm for fall sweaters. 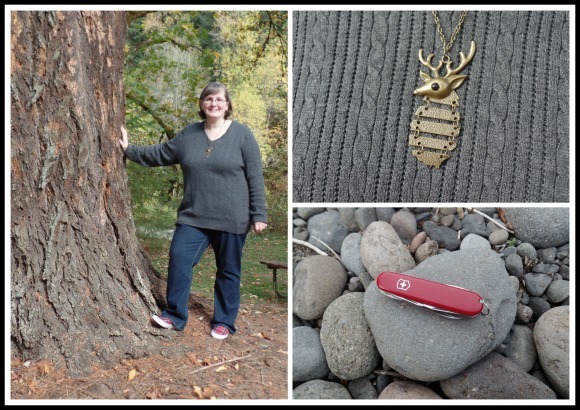 I also wore my favorite stag necklace I found last year. Of course I wouldn't want to go out to the woods without my trusty Swiss Army Knife, I bought this knife for my self in high school and it has held up beautifully over the years. 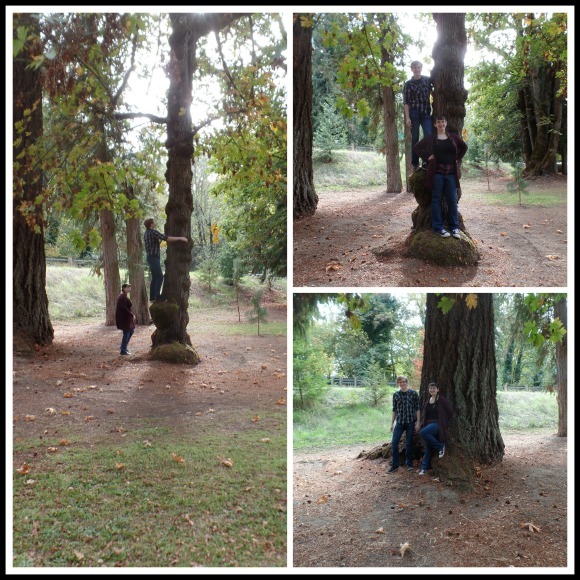 My kids love exploring and climbing trees, they have since they were little. I love all the pictures I got for our scrapbook. 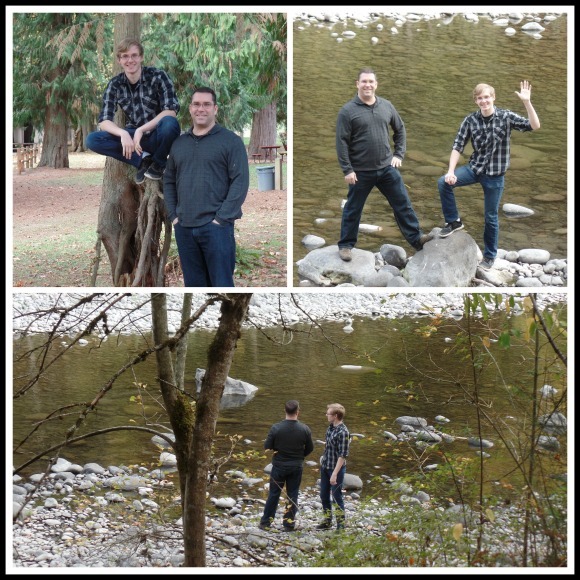 Gary and Joe had a fun time skipping rocks down by the river. I took the opportunity to get as many pictures of Sarah and Joe as I could. 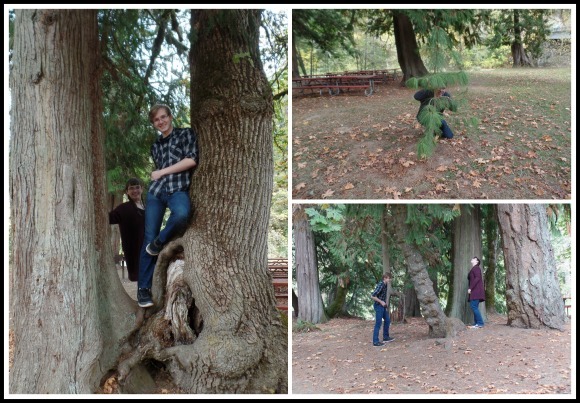 I got a bunch of really great pictures of us all, I think outdoor photos are always my favorite. The water level of the river was the lowest that we had ever seen it. 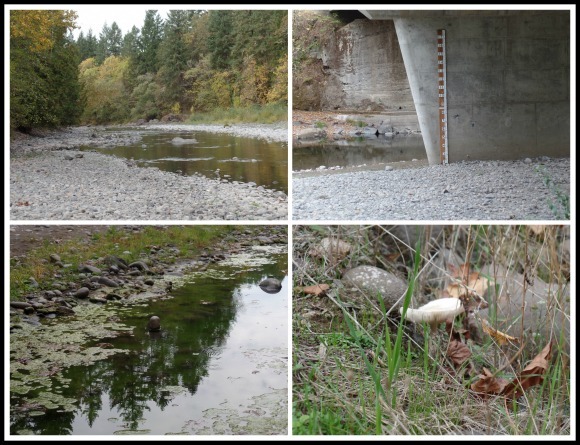 In this old post from 2012 you can see how high the river was on the water level ruler. It was so low on the day we went we could walk all the way around the cement bridge support, and it looked like with a pair of wading boots you could easily walk right across the river in quite a few places. 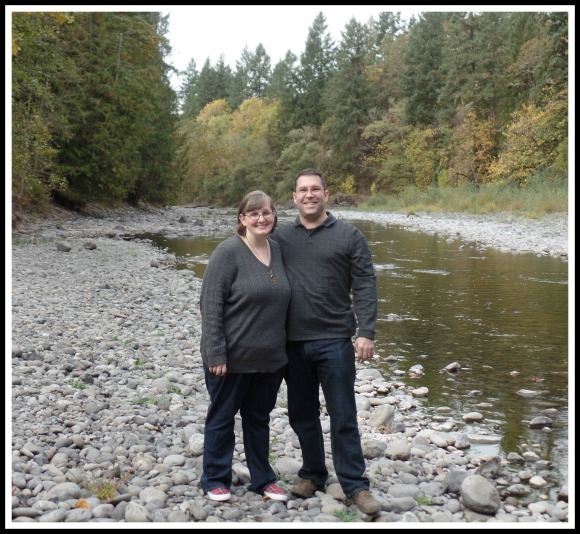 It was fun to explore parts of the river bed that we don't normally get to see. A few days later our fall rain arrived and there were flood warnings for some of the houses by this park. Crazy how a few days of heavy rain can make that much difference! 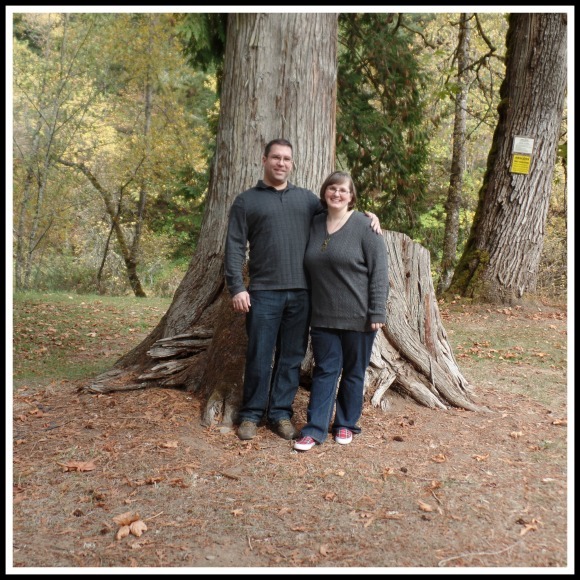 The kids took some pictures of Gary and me as well. 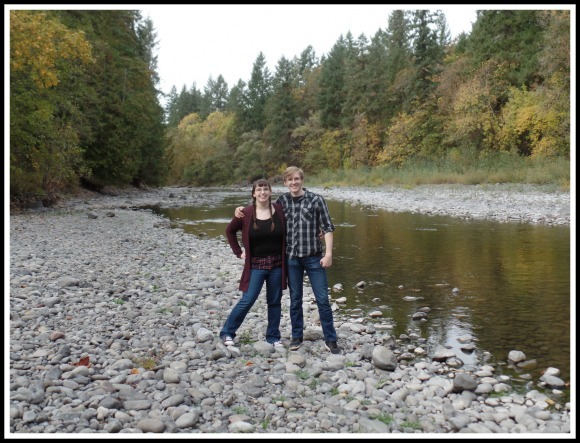 I love this brother and sister picture of Sarah and Joe down one the river bank. The water was so beautiful, I loved the autumn leaves reflecting on the water. 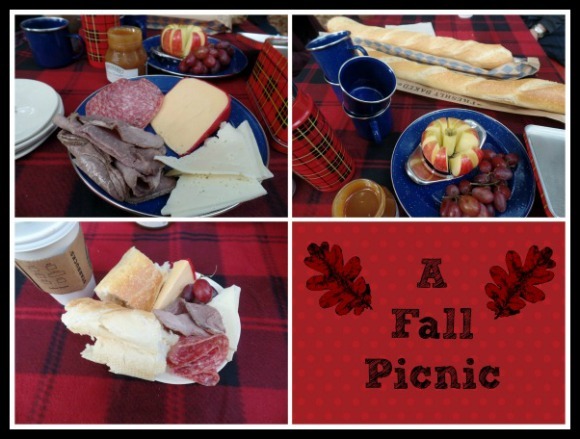 Overall a wonderful day, and a perfect family picnic! Since I have been having fun lately playing around with video I also made a short video of our outing. I hope everyone is enjoying the fall! Looks like good family fun. I had a lunch pail exactly like that in elementary school over 50 years ago. It's on it's way to becoming an antique!